This memoir comes from a woman who transformed the City Year Americorps program, a tutor and mentor program for students in inner-city schools. 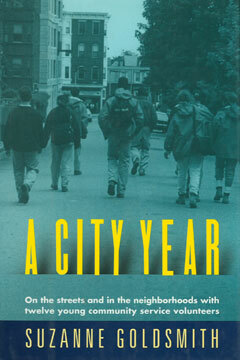 She tells the story of how she completed City Year’s program as it was beginning in the 1990s (it’s still going strong). The book recounts how Goldsmith and a diverse team of committed volunteers worked together to help improve urban schools and the program itself. The book is optimistic, but also unflinchingly honest about how ambitious service projects can face challenges. Everyone on her team struggled, but ultimately transformed an undeserved Boston community through common goals. Reading about the obstacles Goldsmith overcame while reforming this idealistic program into practical results will fascinate volunteers, especially those interested in education. You’ll also find out all the useful and surprising lessons she learned from the young students she worked with. It’s a must-read before volunteering at a school! The list wouldn’t be complete without a comprehensive how-to guide. 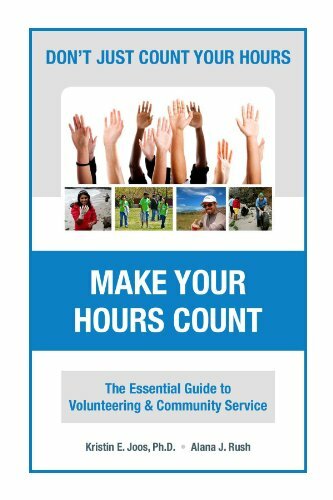 Rush and Joss’s book offers practical tips for those looking to fulfill service hour requirements through volunteering. 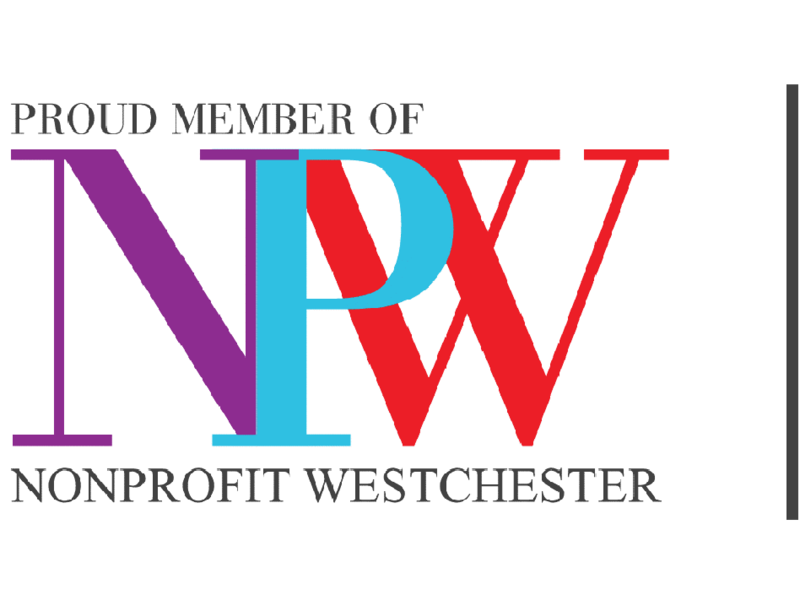 You’ll learn etiquette do’s and don’ts for being at different volunteer sites, ways to learn professionally and personally from any organization, and how to pick the organizations that best match your interests. The book pushes volunteers to really make service worthwhile for themselves and those they’re serving. It’s best for student volunteers; it discusses concepts like service learning and logging hours in-depth. Plus, it breaks down the nitty-gritty details about the all-important logistics of volunteering, like scheduling, balancing obligations, and transportation. Volunteers need something this specific and helpful to figure out how best to fit volunteering commitments into their lives! 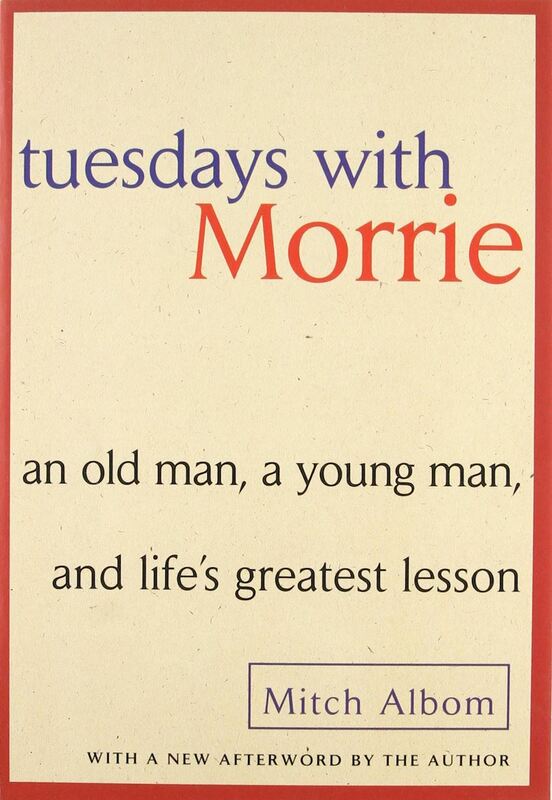 Every book list needs a modern classic, and “Tuesdays with Morrie” is just that. The heavy but ultimately uplifting true story follows a journalist who decides by chance to visit his former professor, diagnosed with ALS, once a week. The two bond as Morrie, the professor, frankly discusses his life-changing illness and loss of independence. Volunteers will relate to Mitch’s journey: he doesn’t expect to learn much about his own disconnected life from his older and critically sick mentor—but does—and is stronger because of it. Mitch and Morrie have heartbreakingly honest conversations throughout, which are a great resource for volunteers who feel like they don’t always know how to talk to people they’re serving in terrible circumstances. Volunteers in hospice healthcare, nursing homes, or working with elderly patients will definitely benefit from the themes. Even volunteers in different fields should expect to be touched; the connection between the men becomes a lifelong gift for Mitch, and all volunteers should aim to make such a lasting impact. Maybe you’re looking for a kid-friendly picture book to get your children, young family members or students excited to volunteer. Thankfully, there’s a ton of beautifully crafted books designed to make kids more civically engaged and excited about helping others. 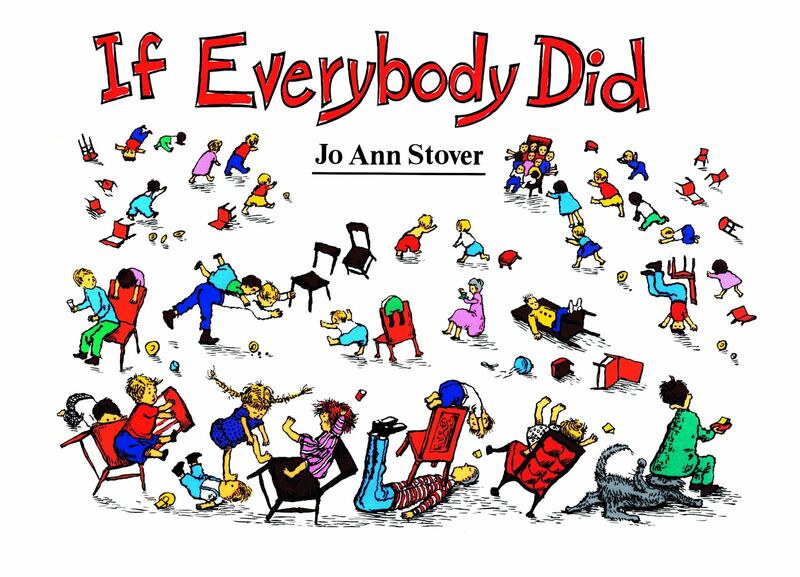 The book asks, “What would happen if everyone picked the flowers, or squeezed the cat, or neglected to wipe their feet?” Stover offers a moving lesson about the importance of being thoughtful through humor, showing in pictures and anecdotes the mishaps that would happen throughout the day if everyone acted in their own self-interest and didn’t consider those around them. It encourages us to work together and take care of each other. It’s always sincere, but never preachy. The tale’s advice cautioning against selflessness is great for kids looking for community, hobbies and passions, and for parents hoping to help them find purpose through public service. Some volunteers might be looking for a more academic and research-based take on community service. We have these, too! Sociologist Arthur Blaustein recounts the information he gathered through a life of teaching college and completing an array of community service projects. His stories are best for those who want to help underserved communities from the ground-up, but feel overwhelmed about where to start. Just like Suzanne Goldsmith, he learned many of his best tips about volunteering under tough circumstances by working with Americorps. 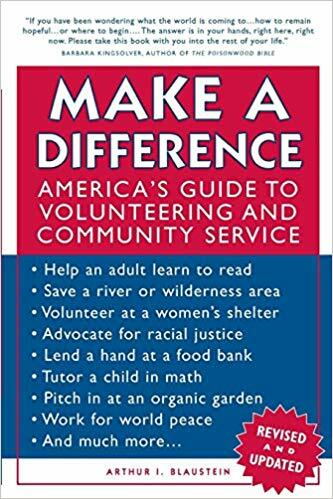 The book also gives an exhaustive lists of organizations who need volunteers all over the country, and tells readers the best ways to channel their talents into each organization. He focuses most on how to serve urban low-income communities and communities of color, so volunteers passionate about the social justice parts of service will find this most compelling. The book is a guide, but also has personal touches with interviews and anecdotes, so readers can relate to the people Blaustein discusses on more than an abstract level. He’s an expert at taking big ideas and questions about service and turning them into real results. Writers like him are working to normalize public service and make it part of everyday life. We can all work together to create more volunteer culture! What books inpspired you? If you're ready to find ways to give back in your community, visit our search page to find hundreds of volunteer opportunities that support local causes -- or schedule time to speak with a volunteer placement specialist today!